Experience the difference…. Twin Oaks Landscape…. not your average landscape company. Contact us if your a GENUINE & SERIOUS landscape professional! Not just another job; established Development Plans for all roles that show you how to get to the next level and make more money! Based on established Policies & Procedures, Core Values supporting Mission Statement and a Code of Honor. Professional pay for professional personnel; retirement program with company match; and BONUS and INCENTIVE programs. Compensation for on-going training sessions (internal and external); daily technical, safety weekly, company monthly and seasonal bi-annually. 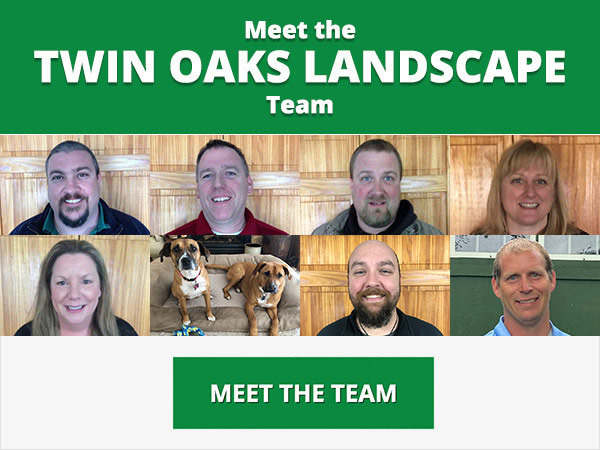 Currently, we are building our team of professionals of landscapers, lawn technicians, and hardscape project installers.